An unconventional week, though no worse off for it. It’s not very often that I find myself in the Jewellery Quarter these days, despite it being home for four years. This particular route allows me to chop about 2 miles out from my normal 9.5 mile route from the office, whilst still keeping it at a reasonable distance. The reason for this was two-fold: I wanted to softly begin tapering ahead of the upcoming Wilmslow Half Marathon by reducing volume, and I had a track session pencilled in for the following day and needed to be relatively spritely to capitalise on it. Ah! A rare outing to visit the University of Birmingham running track! Can you believe it was before Christmas that I was last there? As anticipated, I was on my own and used the official entrance to get in rather than skulking through bushes and in-between fences. Some gardeners were tending to the grounds in preparation for upcoming school sports days – every time I’ve visited, there have been gardeners present! The plan was to cover 4x 1600m reps at half marathon pace, with a lead in and lead out of 800m at 5k pace for variety. Despite being pretty well sheltered by surrounding trees and buildings, a breeze persisted to be felt on the final bend, home-straight and first bend! The sun came and went overhead, resulting in me opting to run bare-chested and work on my tan whilst I was at it. The session, though challenging, was incredibly satisfying to complete. The track surface is beautiful to run on with plenty of traction, feedback and propulsion from its surface. I was able to lose myself in the running and not require keep an eye out for others as I often need to on the canal towpath. I couldn’t stop sweating at the end of it and was thankful I had a bottle of water with electrolytes for between reps and afterwards. Very much a repeat of Tuesday’s run, though I felt dramatically worse due to ill and poor preparation beforehand from the office. It’s traditional the week before a target race that I seek out a fast effort from a parkrun. A bout of focused pace, that’s not too taxing in terms of recovery, does wonders to sharpen up. In need of a return visit to Ikea, Walsall Arboretum parkrun made a lot of sense, especially after Dave Burton’s fresh PB from last week on the fast and flat course. Dave was game for another bash on the course, so came along. Sadly, conditions weren’t quite as optimal as a week ago, with noticeably more wind blowing, and drizzle leaving the ground underfoot slightly slick. Saying that, though, my 18:14 PB from the course in 2016 was run in wet conditions, so who’s to say what’s possible anymore? Lis and Dave’s brother, Paul, were present for spectator duties with the course affording six opportunities to spot runners from a couple of vantage points. A decent warm-up in the bag and we assembled on the start line. I was genuinely nervous and could feel my heart racing away; I knew what would unfold would be painful, no matter the outcome! The start was fast as anticipated with me falling into place outside of the top 10. My target pace for the morning was 3:38 to 3:40 per km; hanging on to 3:40 for the opening split felt harder than it should have – most likely due to the Aldridge 10k and Wednesday’s track session still remaining in my system. I found myself occasionally flanked by a couple of guys, though I seemed to be doing the lion’s share of the work in pacing terms. I would have joined the group ahead, but over 5k pace, they were too far off in the distance to reel to leave me reluctantly in place. Whereas I’d started off on target pace, I just couldn’t sustain it and ended up falling back to around 3:50 per km. Walsall Arbortum parkrun is a compact, three lap course. Entering the second lap, I began encountering slower runners and occasionally had to bellow out, “Keep left,” just as the marshals did. People seemed to take it well enough, with one lapped lady cheering me on as I passed her sounding like a steam train. I was in a hell of my own making! Rounding the penultimate bend, I tried with all my might to put rubber down to the ground for something substantial, but it just wasn’t happening. Even with the gentle descent all the way to the finish, I simply couldn’t generate the necessary power to keep up with the several guys that rapidly passed me. The look on my face in the photo at the top of this post says it all! Crossing the line drenched in sweat from the effort, it was bitter-sweet to learn I’d run my fastest 5k in 2 years for 18:22, also my third fastest 5k of all time, but still needed 9 seconds to challenge my 18:14 PB. Working my way through the funnel, I was surprised to discover one of the guys that stuck to me like glue was the same chap that narrowly beat me to the line at the Aldridge 10k! Tom joked that I had become his personal “tormentor”, though I reassured him that I would not be in the vicinity any time soon to put him at ease. Frustratingly, my official plastic barcode failed to register in the system for me to end up with an unknown result. The barcode scanned because I heard the audible beep, so I’ve binned it rather than allow it to wreak any more havoc. Kindly and swiftly, the Walsall Arboretum team amended the issue for me within a few hours with no fuss – thank you! A little more to come with some focused pace work, though I’m struggling to think of where I can find another 23 seconds to break 18 minutes! Whereas I would have normally gotten out for my run in the morning, I ended up sleeping in and completing a few errands before needing to be somewhere for lunch time. Before I knew it, 3pm had rolled around! Conditions were deceptive; on the surface, the afternoon appeared to be cool with overcast skies. The reality was noticeable humidity to leave my t-shirt drenched – I really should have worn a vest. People say you should leave around 3 hours after eating a meal before attempting to run. Personally, I stick with 2 hours for carbohydrate-rich meals with low protein, and nearer 4 hours for protein-rich meals. Well, I had a protein-rich meal comprised of dim sum to leave me pretty uncomfortable! To make matters worse, I enjoyed a tailwind on the out leg, only to be faced with a headwind on the return to add to the discomfort! I definitely prefer running long in the morning on Sundays, where I feel like it has far less of an impact on the rest of the day. A soft taper week ahead of the Aldridge 10k. I think after last week’s sweat-fest runs, adaptations began taking hold inside me. Contrary to my expectations of feeling beaten up, I ended up feeling not too shabby with my legs and heart rate able to comfortably keep up. What a difference a couple of days can make! Dramatically lower humidity and a little more recovery meant I was better able to handle the demands of this session. Pretty near as damn it in terms of precision! Due to staying late at the office to prepare for work’s 200thanniversary (how many businesses can boast such longevity? ), I was in two minds about skipping this run and heading straight home having been on my feet all day. My OCD kicked in and a committed run is a non-negotiable run; besides, work paid for some Domino’s pizzas that were waiting for me at home – calories that hadn’t been factored in for the day! Much like on Monday, I expected the worst from my legs but was pleasantly surprised to discover they were really quite spritely. Clearly still retaining much of the good form from the previous day’s 800m reps, my glutes fired correctly and my stride trailed correctly behind me despite the recovery pace. Oh, and for clarity because people have been asking, I personally categorise my runs as run-commutes if I carry a bag on my back. Whilst I run from the office three times a week, two of those runs see me carry the absolute minimum (phone, wallet, keys) via a Flip Belt around my waist. 4 miles into this run, I regretted not whimping out and dropping the run entirely. I’d once again been on my feet all day preparing, celebrating and then cleaning up after work’s 200thanniversary. If I didn’t run on Thursday, it meant the next time I would be running would be during Sunday’s race; this particular week wasn’t to be too low in mileage terms, so you can see my initial reluctance to sack it off. My legs were tight, especially my IT Bands that were in need of foam rolling. At least I only had 9 miles and not 11 to run! Running up the incline on Fordhouse Lane, I noticed a woman around 100m away from me making the hill look incredibly easy. Once on flat ground again, I overtook her. She wore earphones and uttered, “Whoa. Fast,” not realising how audible she was! She beat me to it and I was left dumbfounded, just as I was about to share similar words with her attack on the hill. With the Aldridge 10k the following day, Lis and I volunteered once more at Cannon Hill parkrun. It’s been weeks since I last ran at Cannon Hill! Nothing of particular excitement, however I did meet Tom Charles – a chap that’s launching the Running Stories Podcast. I agreed to become an interviewee and there’ll be more on this next week. For the full write-up, please click here. Gah. Apologies once again, everyone, for I have fallen behind with the updates. Two weeks rolled into one, here. Rep 2 was marred by heavy tree cover, ruining what was otherwise a near-flawless set! I could have pushed on for 6x, but felt quite nauseous upon finishing 5x and figured that was quite enough to get myself reacquainted with structured speed once more. Expecting the week’s total mileage would end up a touch on the low side due to soft-tapering and racing, I opted to jump off the Metro one stop early to have this run end up nearer to 6 miles than 5. Running with a bag on your back is tough going. You end up with what some affectionately call swamp back, due to never-ending perspiration in a bid to keep the back cool. Not only that but whatever goes into the bag needs to be wrapped in plastic… I’ll say no more! Like a fool, I forgot to pack my Flip Belt to have me running all 11 miles with a phone and wallet in my hand. Any of you that know me in person will be aware of my diminutive figure, yet I own the ginormous iPhone 8 Plus. Not comfortable in the slightest! Racing the following day meant I volunteered, of course. I was paired up with the lovely Fehmida, volunteering and marshalling for the very first time, due to fasting for Ramadan. She was an absolute natural, learning the ropes very quickly, pointing runners in the correct direction, and encouraging everybody as they passed. Also joining us was a chap from Bristol, who was returning there due to work contracts ending. Rather than run at Cannon Hill for the final time, he opted to volunteer instead. Many, myself included, would have done the former, whereas he’d set a great example by going against expectations. Strangely, the previous day’s Cotswold Hilly 100 leg barely felt like it had touched the sides. Considering my Garmin advised 72 hours for recovery, I heeded this warning and kept the effort incredibly low. Helpful to me were the torrential rains of the previous day in Birmingham, bringing the temperature down a few notches. This was a very special day for the St James Road tunnel re-opened! Huzzah! Those of you local to Birmingham and who run on the canals will be all too familiar with the narrow, single-file nature of above said tunnel. I remember years ago, a cyclist decided to race ahead of me into the tunnel, only for him to constantly lose his balance to then drop his speed to become the one holding me up! Since January, work has been carried out on widening the footpath in the tunnel. Whereas canal boats have probably lost around a metre of width from the tunnel, which still leaves plenty for them to play with, users of the footpath are now able to comfortably and safely overtake with ease; no more waiting at either end! The run itself was so-so. Humidity was jacked right up to leave me drenched and dripping in sweat. The crushing problem with humidity is it stops the body from being able to cool itself down. Without the sun shining directly on you or a breeze to evaporate sweat, it simply pools on your skin and your body pumps out more sweat because you’re not cooling down. It’s a double cost as you become increasingly dehydrated with no benefit! The humidity remained and certainly not helping was the bag on my back. Running through Cannon Hill Park, there were still a few telltale signs of the storms from Sunday. Lots of mud had formed or collected besides the many paths. Eugh. This was supposed to be 6x 800m at 5k pace, but I could tell from the warm-up alone that things were going to get ugly. 4 easy paced miles had left me glistening in sweat that simply wasn’t evaporating away! Whilst the humidity was one factor in the poor session performance, recovering from the Cotswold Hilly 100 and poor hydration and nutrition were others. I opted to catch a bus for the final 2 miles for home, stopping off at Sainsbury’s for some sugary snacks and drinks! Ah, Newport parkrun. Home to my very first parkrun away from Cannon Hill and also where my Achilles heel had decided enough was enough back in 2016 (I’d not been back since). Ben, a friend of Lis’ and mine ran there for the first time a week prior and fancied giving it another shot whilst I was in town. It makes for quite a contrast to his usual haunt of Riverfront parkrun and is one of the likely few events where the launch of nearby events have taken numbers away from Newport parkrun; at its peak, the event could see up to the high 500s, whereas the 200s to 300s is now the norm. Their secret? Newport parkrun is definitely more of a summer course. After a warm-up, Ben and I both concluded it was going to be a warm morning. Not helping was the lush vegetation we would run through twice for added humidity. Spectating were Lis and my mother-in-law, Yvonne. Visiting the event was a swift looking runner from Oklahoma in the US. I did actually have sights on him winning, only for disappointment to strike when he finished in second place and lost out to a fellow visiting runner. I was in need of sleep and recovery, so set out with just sights on skimming under 20 minutes. With its many twists, turns and long stretches under thick tree cover, I knew the course came up a touch short on GPS, so I had a small margin of error on my side. I coasted much of the first km, keeping the effort and pace steady whilst people chopped and changed before settling down. Somewhere during the second km, I noticed a young boy in the distance running at a decent clip for the Tredegar Park terrain. With no extra work on my part, we eventually drew shoulder-to-shoulder; his breathing was already quite heavy and laboured, so he was certainly working hard. He began to slip by a step or two, convincing me to give him some encouragement and pacing assistance. “Stay with me, buddy,” I said to him to get a feel for whether he was interested in keeping the fire burning. He drew level with me again to clearly wish to remain in the game. This continued up to the final km, when I thought I might have lost him. His breathing was, expectedly, very laboured and intense; the suffering he was putting himself through was remarkable. I carried on with the encouragement, which he’d previously reacted positively to. As we cleared the final corner, I took the lead momentarily and told him to kick and chase me down. He found something from somewhere and briefly pulled level with me before putting a few metres between us. At the 200m sign, I told him to go for the finish and he added a few more metres between us, finishing in 19:52 and me in 19:54. Upon finishing, I congratulated him and told his father that he should be proud of the effort he’d put on show that morning. A sub-20 is not particularly easy to achieve on Newport’s course as the terrain, whilst being largely flat, is not particularly forgiving in terms of energy return or traction. Ben came back in with a course PB, which was to be expected with prior knowledge of the course and starting right at the front with me. The day before, Lis and I noticed several volunteers putting up a number of “Caution Runners” and arrow signs around much of the long run route I almost always utilise when visiting Lis’ parents. Curious and confused, I could find no information on what the potential race was, with no listings on any of the race resources I commonly refer to. Ben was able to deduce it was some sort of relay race akin to the Cotswold Hilly 100. Hosted by the local Fairwater Runners club, it featured multiple legs of differing distances, with the most brutal being a half marathon taking place at 13:20 in the midday warmth. I feared I would have to bandit the race if it coincided with my own long run, though there was no need as I was all wrapped-up before they’d even started their leg. Whereas I’d spotted dozens upon dozens of cyclists, I was the only runner out there on this morning. One particular cyclist recognised me on the out and return to cheer me on. Also cheering me on was a mystery BMW driver, honking his horn and waving as I headed towards my turnaround point at Monkswood. I ensured I was adequately hydrated and fed beforehand, but took no chances by carrying an additional water bottle with electrolytes. Usefully, I also strictly regulated the first half’s effort to have me feeling pretty good for the second half. Due to tapering the previous week, there wasn’t much going on, so I’ve rolled a fortnight into one post. This was much harder than it should have been and the paces didn’t come as naturally as I wanted. There was a rather strong headwind blowing as high pressure and low pressure competed across the UK weather system. Rather than pile on fatigue, I was satisfied with a 6:47 marathon paced mile and a 6:21 half marathon paced mile. Lis and I had a midwife appoint scheduled in, so I took the afternoon off and got this run out of the way before the good weather brought everybody back out to Cannon Hill Park. Much like Tuesday’s run with miles at pace, the easy effort here didn’t feel as free flowing as it should have. I reassured myself that there’s always a feeling of sluggishness with any taper of more than a few days and that this was perfectly normal – I hoped! With the Shakespeare Half Marathon the following day, I of course did my part and volunteered at Cannon Hill parkrun. As ever, I was positioned at my favourite section, moving between the 1km, 2.5km and 4.2km points on the course. Teamed up with me were Stuart and Ethan. Stuart was also running the Shakespeare Half Marathon (I did bump into him) and Ethan was one of the current crop of Duke of Edinburgh Award participants. Marshalling was entirely without incident, so rather than talk about Cannon Hill parkrun on this occasion, I want to direct your attention to the recently released independent parkrun podcast: Free Weekly Timed. 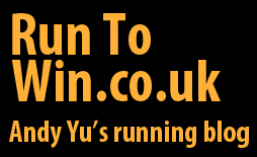 Hosted by Vassos Alexander and Louise Ayling, each episode lasts some 29 minutes to coincide with the current average parkrun finishing time (in the UK?). I’ve very quickly grown to adore the show and wish the run time was longer – everybody needs to get slower to bring the average finish time down to make this happen! For those that remember the now defunct parkrun Show, Free Weekly Timed is far more accessible without having to wade through wall-to-wall in-jokes and nomenclature, which I would dare say is down to the 29 minute runtime. Another new show I’d like to recommend is the Runners World UK podcast. A bit less personality, due to the association with a magazine, but the content has been varied and worthwhile so far after only a few episodes. Whether this show can go the distance (pun intended) is undecided, especially as the US version ended abruptly after 67 episodes to then transition into a more general fitness podcast. For the full report of the 2018 Shakespeare Half Marathon, please click here. And boy was recovery needed! It was probably the Yorkshire Marathon that last busted me this badly in pursuit of a PB. A very gentle pace this was. I’m very much of the school of thought that tapering into a race means you should also taper out of the other side, too. I’m frequently amazed and horrified in equal measure at people that dive straight back into full-on training after big races; track sessions, tempo runs, fast parkruns – you know what I’m talking about. I think I pitched the effort correctly on this occasion because Strava tells me this was the slowest occurrence of this route! Here’s there Strava data for this run. Fortunately for me, the forecasted warm spell was delayed by a couple of days; I’m not sure I would have been ready for a warm medium-long run from the office. Also fortuitous was a rare tailwind! Conscious that I was still recovering, suffering from sleep deprivation, and conditions were warm, I opted to keep things pretty calm and relaxed with a sub-20 finish. It’s still very bizarre that a sub-20 parkrun is now my half marathon pace; I think it’ll take a while to get over that one, especially as it took me an entire summer in 2013 to get below 20 minutes over 5k! Starting off conservatively allowed me to reel people in over the duration of the run. Plenty were breathing heavily within the first km and can’t have fared well for the remaining 4k. Looking at the results, there were people massively ahead of me at the 1km marker, who ended up finishing almost a minute after my 19:46! Wowza. This was officially my warmest long run of the year, though I’m expecting warmer runs to come as the summer rolls into town. Whereas I had hydrated well beforehand, I ended up having to stop at around 4 miles within Kings Heath Park for a toilet break. Damn body. This run will teach it to be so casual about hydration! I took a bottle of water with electrolytes for the second half of the run, which paid dividends. Anticipating a tough run, I purposely held back in the first half to maximise success and minimise distress. Everything seemed to tick along quite nicely until I picked up a stitch at around 10-11 miles, likely caused by not leaving enough time between breakfast and heading out. Physically prodding the affected area, it was tender to the touch and nearly stopped me in my tracks a few times. Thankfully, I was able to run through the discomfort for it to finally dispel as I left the canal towpath; it would have been a long walk for home like that failed 19 miles from last summer, otherwise! And just like that, the heat wave that struck the London Marathon was over within 24 hours, and cold and dreary normalcy resumed. A long sleeve top replaced the vest once more! My only concern is I’ve not spent as much time as I would like at or around half marathon pace, though the upcoming DK10K should remedy that. A week later and the fair-weather crowds from Cannon Hill Park had all dispersed. With the unpredictable nature of the weather, I currently have to pack a variety of kit to take to work with me. T-shirts, long sleeves, shorts, tights. I long for the simple times! Run cut short because Thanos must be stopped! I love movies as much as I love running, so Marvel’s Avengers: Infinity War is a big deal. I’ve been watching the franchise since 2008 – before I even started taking running seriously! I had tickets for an evening screening; time was tight to pack a decent length run in, get home, have dinner and shoot back out again. I decided 8 miles from the office would suffice and I could then catch the bus for the remaining 2 miles. Exiting the canal by Lifford Lane for 8 miles, horror spread across my face as I saw two buses drive past before I had a chance to reach the bus stop. Seeing as they were scheduled to run every 8 minutes, I didn’t fancy hanging around for 16 minutes whilst cooling down, so I continued running for home. As I neared each subsequent bus stop, I glanced over my shoulder in the hope that another bus appeared, only to be left disappointed. Keeping an eye on time, I was quickly running out and was forced to pick the pace up. Reaching home, there were just a few hundred metres between the buses and me, so it was pleasing that I wasn’t far behind schedule without motorised assistance! And how was Infinity War? Bloody fantastic! They actually pulled it off! Lis and I were back in her motherland once more, which meant another dose of parkrun tourism! My Welsh parkrun tourist conspirator, Ben, was unavailable so the originally planned Bryn Bach parkrun mutated into a solo trip to Merthyr parkrun. At just barely over a year old, Merthyr parkrun has built a small but dedicated following, typically attracting around 25 to 50 participants each week. Sharing its DNA with many other newer events, the event doesn’t actually take place in a park at all, but rather on a stretch of public path that follows the Taff River, behind Merthyr Tydfil’s leisure centre. The leisure centre provides parking, toilets and a café for the parkrun essentials, all within a compact space for not much required to-ing and fro-ing. Arriving very early, I thought I’d sussed out the course after studying its route and profile. Jogging along the paved path, the smell of bacon from the nearby Travelodge hotel permeated the air! I arrived at a fork, which perfectly resembled that of the map I’d observed. Jogging the other way, volunteers had arrived and began setting up, prompting me to wrap things up. I had a chat with the tail walker for the day, who gave me a run-down of the course and what to expect. His eyes bulged out of his head when he learned I’d recently broken 250 runs; whilst there are dozens of 250 Club members at Cardiff parkrun (a 10 year old event), there’s very little cross-over with Merthyr parkrun, in spite of the relatively short geographical distance between them. The smaller events make for a nice contrast from the larger events I’m accustomed to; everybody seems to know everybody else and the locals roll out the red carpet to make visitors feel welcome, taking a personal interest in why somebody would drive 50 minutes to attend Merthyr parkrun. Walking over to the start line, a fellow tourist asked me if I knew the course layout. I held my hands up and explained to Ronnie that I was in the same boat as him and hoped that somebody faster than us knew the precise route! Ronnie was visiting from Catterick parkrun, near Darlington; I was incredibly jealous as he described his local course as taking place on a horse racing track, making it flat and especially fast on calm days. Confusingly, we faced the opposite direction than which I expected us to head; had I got the course wrong, even with the perfectly matching route that I jogged? Overhead, the course shares a few similarities with Cardiff’s Grangemoor parkrun. Both take place over relatively compact footprints and feature plentiful use of switchbacks – five in total for both parkrun events. We approached the first switchback, with everybody tackling it with the grace of a giraffe on an ice rink! The path was slick from overnight rain and Ronnie almost lost his footing, but recovered in a nick of time. The second switchback arrived shortly; with such a narrow path, there were few options for how to take it with me deciding the slow-entry and fast-exit method would be best. I was firmly in fourth place with the possibility of third if Ronnie tired. On low attendance weeks, first place has been known to finish in high 19 minutes or low 20 minutes, but this day wasn’t such. On the approach to the south of the course, another youngster from the back joined the fray and overtook all of us with ease to take the lead. The former leader decided he wasn’t going down without a fight, so a battle ensued. Thankfully, the next switchback was on a wider path to facilitate a smoother manoeuvre. All of a sudden, the challenger to the new run leader walked off the course, grasping at his guts due to a stitch. “Keep at it! Walk it off,” I hollered to try and spur him on to rejoin us. It was no use; he was spent from what was probably a start that was too fast for him, along with the unexpected mid-run battle. In his place, a new challenger took over and moved away from Ronnie and me. The two of us now had a battle of our own for third place! I was taken aback when Ronnie was able to keep pace on a climb, especially as he was much taller than me. Equally shocking was me pulling away on the descent on the other side! Runners with long strides normally leave me for dust on downhill sections of courses, so I figured he must have been tiring. We flew through a high-speed underpass section with two particularly vocal and encouraging marshals spurring me to challenge for second place. That wasn’t going to happen, especially as there was at least a 20-30m gap that had formed. Reaching the switchback with a bollard for the second time, I decisively chose to grasp it with both hands and swing myself around it in a bid to not lose too much speed or footing whilst trying to keep Ronnie at bay. I had only a few seconds’ lead on him, so every move counted, as I had no idea of his finishing ability. On the cusp of the final switchback, the leader had fallen back significantly into second place when I last saw him with a sizable advantage. I reasoned there must have been a marshalling error; when I arrived at the switchback myself, it had moved forward by perhaps 10-15m, and when I asked the marshals what had happened ahead, they looked at me, sheepishly, and pointed me back in the direction for the finish. Was the switchback too far on the first occasion, or is it supposed to move on the second lap? I had a 5 second or so lead on Ronnie from my calculation of him passing a fixed location. I picked up my cadence to take advantage of the fast entry and exit from the underpass with the finish only metres further away, pleased that I’d done enough to bag third place as per my prediction that morning. I shook the hands of the first and second place boys, and also that of Ronnie and another guy that we’d briefly spoken to on the start line. First place explained that he’d been sent further than he needed to be by the marshals on the final switchback, which can only suggest that the switchback wasn’t moved over in time for the second lap; I can’t help but wonder that placing it in a spot between the lap 1 and lap 2 positions would resolve any need for it to be moved at all? Due to my Garmin mishap earlier that morning, I largely ran blind and had to rely on Ronnie’s 19:14 to estimate my own finish. It was officially recorded to be 19:05, so I was slightly disappointed to not squeeze a little more out of myself for sub-19; without all the switchbacks, I’m confident I’d have hit 18:50. Curiously, I’d somehow been promoted upwards to second place in the official results. I was definitely given the third place token, so perhaps the first place finisher had not run the full course and merely joined in partially for a tempo run? Post-run, we were offered bottled water and cakes, which looked to have been donated by Sainsbury’s. The lady barcode scanning was in Sainsbury’s uniform, so it’s more than likely that they were the event sponsor to help get Merthyr parkrun off the ground and started. Here’s the partial Strava data for this run. Next on my Welsh tourism list is either Bryn Bach parkrun or Pontypridd parkrun. What a difference a week makes! Whereas seven days prior, the London Marathon hovered around 25°C, this particular Sunday saw the inaugural Newport Marathon struggle to get much higher than 6°C! I’d wisely chosen to don a long sleeve top to keep the chill at bay. More than anything, it was the strong, swirling gusts of wind that took their toll – whichever direction I faced, I ran straight into it. Somewhat expectedly, I was the only runner out that morning. Many in the local area will have either been recovering from the London Marathon, or participating in the morning’s Newport Marathon and 10k. The route looked to be great for those seeking a fast time, with the only climb of significance between miles 9 and 10, consisting of some 10m of elevation change. The rest of the course is pretty damn flat, taking the challenging of becoming the UK’s flattest road marathon. My own run was largely uneventful, though I was certainly glad to cap it at just 10 miles in preparation for a needed taper ahead of the upcoming Shakespeare Half Marathon. So, how’s that heatwave treating everybody? Two weeks rolled into one, again, but we’re at least back in sync! Returning to the UK before 6am on a Sunday is tough. Returning to the UK after a 12 hour flight through 7 different time zones is tougher. Needless to say, the day’s 15 miles never materialised and were postponed to the following day, which I had booked off from work. The run itself was a bit of a shock to the system, going from the warmth of Hong Kong to barely single digit temperatures… Brightening things up for me was a chance encounter with the entire Close family with high-fives! Accommodating a Monday long run meant shifting the rest of my week around. What should have normally occurred on a Wednesday was brought forward to Tuesday, and you get the idea. Running through Cannon Hill Park, the place was reasonably desolate apart from British Military Fitness doing their thing. Oh, and a random weirdo who suddenly decided to walk into my path and then have a full-blown conversation with himself before and after I passed him! I may not be training for a marathon, but marathon pace was the perfect bit of stimulus after several weeks without anything faster of note during the week. Thanks to a half day from work (and our first official NHS baby scan), I had the opportunity to cover this out and back to Cannon Hill Park. The keen eyed amongst you may notice that I decided to avoid Kings Heath high street and instead utilised back streets. This was two-fold; Kings Heath high street can be awful at rush hour and a recent analysis of the pollution levels were pretty shocking, especially for those like me gulping down massive lungfuls of it as I run. I do still use the high street when it’s quieter, but no longer when it’s busy. Jet lag still persisted to have me waking up earlier than usual, which was no bad thing as I’m usually fighting the alarm on Saturday mornings. I’d also spent all of Friday on my feet, setting up an exhibition stand for a trade show at the NEC. Needless to say, I didn’t find this outing the easiest of parkruns. My legs felt lifeless and had no pop to them at all, so a simple sub-20 target was all I wanted and managed. Clearly, my body was feeling the impromptu mileage spike of the week. Rather than potentialy break myself ahead of the critical spring-summer season, I scaled everything back to sit slower than 8:00 pace. Disappointingly, the weather system decided to lay down some ferocious headwind as I ran home from the office. Weighing up my options, I could either fartlek or just throw in some strides. The strides won and came into play whenever there was a break in the gusts. Pleasingly, I’d correctly chosen to wear one of my lighter weight long sleeve tops to counteract the chill from the wind. As I left the office, the cleaning lady I always stop to chat with, quizzed me over how I choose what to wear when I run. I did share with her that it’s taken years of trial and error, with more victories than losses, but that when I got it wrong, I typically got it very wrong. And then the heat came! I donned a vest and a pair of shorts and headed over to Cannon Hill Park for 10k at recovery pace. For somebody that dislikes running in the heat, I have to admit that it was pretty damn pleasant! Expectedly, the park was heaving so I was glad I was only jogging with no pace target with so many bodies to avoid. In spite of my hay fever returning, my sense of smell was turned up to 11. Ever since my recent visit to Hong Kong, I’ve been paying a lot more attention to scents and how they’ve triggered quite vivid memories in my mind to come flooding back. The smell of the freshly cut grass and warm faux-summer air reminded me of my first few parkruns at Cannon Hill, leaving me to feel particularly nostalgic about how far I’ve developed as a runner. There’s an on-going joke between Dave Burton and I that we’re very poor at getting our runs to time and sync together when we try and meet on the canal towpath. This struck again when Dave had planned to bump into me going in the opposite direction, yet I had decided to finish some work off in the office to have me setting off later than I normally would. We missed each other by mere minutes! This was another warm run and I pointed out to the cleaning lady that I’d gone from a long sleeve top to a vest in only 24 hours! I did think I’d possibly not had enough to drink throughout the day and really should have taken a bottle of something with me. Thankfully, the sun was reasonably low in the sky as we’re only in April and not summer proper yet. I really do need to up my hydration game in the coming weeks or risk the consequences. There’s a quirk that I and several other runners experience, where the outcome of a run is inverted to the outcome of the warm-up. In other words, great warm-up equals crap run, and crap warm-up equals great run. Jogging to Cannon Hill Park, my heart rate was a few beats higher than normal; my Garmin confirmed as much and even gave me a -3 performance condition score after only 1km at a very easy pace. I groaned and continued my way to the park. That familiar smell of Cannon Hill was a rush to the head as I made my way to the bandstand. Unsurprisingly, everybody was in good spirits as we finally had some positive weather to accompany parkrun after seemingly months of wet and miserable conditions. Dave, bizarrely, chose to wear a long sleeve top and jogging bottoms to the park, compared to my skimpy t-shirt and shorts – I joked we looked like we were dressed for two different events! From the line, I opted not to go with the tidal flow and remained in control. Over the few hundred metres that followed, I slowly reeled in faces I recognised whilst remaining reasonably comfortable. I surprised myself with how at ease my breathing was, especially in comparison to those immediately around me. 1km came in at 3:47 to be about where I wanted it. I continued to feel pretty strong and with no pressure to commit to anything. Runners that had gone off too fast continued to come back to me. I found myself in a nicely sized pack of five, patiently hanging back to take advantage of their pace making to avoid exerting any more mental or physical energy than was needed. 2km clocked in at 3:50 for some minor slow down due to the climb back to the bandstand. Going into 3km, more and more people began to tire and fall back. My pack reduced to just three; I tried my best to convince one of my cohorts to stay with me and to try and regroup with the Bournville Harrier a few metres in front. He stuck with me for a little while longer, but also faded like the rest. Nonetheless, I was able to overcome any effects of fatigue and I was actually getting faster for a split of 3:45! I remained feeling pretty damn good. My breathing, whilst definitely working a little more than before, continued to be fully in control. The bone-dry conditions underfoot and my Streak LT3 shoes were like a match made in heaven; I had the confidence to throw my feet down and what returned was an ever increasing pace. I remained wide-eyed at what was unfolding with 4km coming in at 3:43! My eyes darted from runner to runner ahead of me, each one eventually succumbing to my reel. Crossing over the bridge, my next targets were Gareth Gulson and Peter Blackwell – both faster than me on a typical day. But this day wasn’t just any day, for it was my day! Within seconds, I’d pulled shoulder to shoulder with them and then surged to get ahead by a few steps. Uh oh. I’d run out of runners to reel in and the next target was a good 20-30m away… I kept the effort up with the knowledge that any second, either Peter or Gareth would pull level with me again and the battle would restart. It never happened, though I was able to creep a few metres closer to the next guy in front. I switched my Garmin over to elapsed time and I could tell it was going to be close to being either side of 18:30, wholly dependent on how I handled the hill. I was maxed out and running on fumes; the controlled and measured breathing of before was long gone! Cresting the hill, I kicked with all I had left in the hope I could scrape an additional second or two. 18:36 was my official time of the morning. This became my fastest parkrun since December 2016 and my fifth fastest time at Cannon Hill. I was beaming and continue to wonder where that came from? As I said initially, crap warm-up equals great run! With the London Marathon on the telly box, I headed out earlier than usual so that I could enjoy the coverage on a slight delay and without interruption. Positive weather really does make us Brits less miserable, doesn’t it? I nodded and wished many of my fellow runners a good “morning”, and many reciprocated with an unforced response and smile. I finished feeling pretty strong, so clearly the liquid refreshment was the right move. Was this the warmest one on record, or did it rank second? It may as well have been the warmest one because my Strava feed resembles a warzone with casualties of the heat all over the place. Congratulations to all who ran in the difficult conditions, but particularly to my fellow sub-3 hour marathon conspirator, Darryll Thomas. He sensibly chose to run to heart rate and of all the people I followed, he barely slowed at all to run a very steady race. He even achieved the amazing feat of equalling his marathon PB of 3:04:45! Apologies, folks, for the tardy post. I’ve rolled two weeks into this single entry, with a pending post for my week away in Hong Kong to follow shortly! Mentally, I wasn’t ready to take another lashing of 3 miles at half marathon pace in the middle of my run-commute for home. Softening it to 2 miles at marathon pace and the final mile at half marathon pace made the whole thing more bearable and achievable; 6:47, 6:44 and 6:22 came out of the other side, agreeing as much. I have a few friends who love trail and fell running and I’m always scratching my head over the amount of kit they’ll wear whilst out on a run. “Sweat kills,” is a statement I’ve oft heard bandied around, along with the need for multiple layers, especially ones that sit close to draw away any moisture. Whether running easy or running hard, I’ve historically felt warm. Not so of late, where I’ve almost exclusively worn tights and long-sleeve tops since November, outside of racing. For the second time this year, I came to experience why sweat can be so hazardous in cold conditions. Problematically, I’d found myself in a middling effort; not slow enough to cut out sweating entirely and not fast enough to generate significant body warmth to make use of the sweat. Running into the headwind for home made for a particularly unpleasant time! Kings Heath Running Club took the reins and provided a full roster of volunteers for the morning, including pacers. Wishing to save myself for the big effort the next day, I took advantage of Chris Callow, the 20 minute pacer. Barring Chris moving off a little too quickly for the first half, the run was largely uneventful and by the numbers. Dave and I ran together for much of it before he burned me off in the remaining few hundred metres. Whether by coincidence or design (a bit of Column A and Column B, me thinks), the new Great Run Local at Edgbaston Reservoir meant a double run, akin to the parkrun New Year’s Day doubles, was possible. As a former proud denizen of the Jewellery Quarter, I could often be found nearby at the reservoir, running laps in the pursuit of speed or bulking out a long run. Consider me pleased to see my former stomping ground play host to an event! Dave and I were kindly driven to Edgbaston Reservoir to avoid mileage overload. Running from home to the reservoir, participating in their 5k event, running to The Vale, participating in their 5k event, then running back home would very likely see me hit 22 miles; no bad thing if marathon training, but not ideal when my longest run this year has been 15 miles. Arriving early, we were definitely in the right place judging from the various Great Run Local direction signs there were attached to lampposts and pillars. A single lap of the reservoir served as our token warm-up but left me wanting more; the jogs from home to Cannon Hill parkrun have spoilt me! We soon identified the familiar face of Rob Dowse from BRAT and Cannon Hill parkrun, along with Carl Stainton dashing towards us on the horizon for fear of being late – he was incredibly lucky as we started almost 10 minutes behind schedule. Assembled on the start line, it wasn’t exactly clear when the run actually started as we all jerked forward at different times. Carl took the lead as anticipated with me in second place. I’d concluded all I wanted was a sub-20 finish, factoring in the parkrun 24 hours prior and another Great Run Local only an hour later. During our warm-up, Dave and I established that the terrain at Edgbaston Reservoir wasn’t actually as optimal for fast times as we’d nostalgically remembered. On the wooded section of the reservoir with shelter, lots of puddles had formed along with accompanying mud. Throw in plenty of dog walkers and cyclists doing their normal Sunday thing, and some careful timing and line taking was necessary. Not far behind me by some 20m was Vicky, a friend of Rob’s, to keep me on my toes. Pace-wise, I continued to hover on the boundary of a 20:00 minute 5k and went through halfway in 9:50. Carl had pulled away for an even bigger lead whereas I was still being chased down, though had increased the gap by perhaps another 10m. The reservoir grew even busier on the second lap with particularly nimble feet required to get through the crowded and muddy southern-most point. Throughout all this, I still needed to piss and the temptation to stop persisted. Reaching the third but last corner, I spotted the ideal opportunity but a quick look behind me confirmed my lead wasn’t big enough to pause and piss without losing second place or a sub-20 finish. It’s all motivation, right? Turning for the penultimate corner and I’d gained another 10m on my pursuers. The straight and paved dam wall prompted me to begin upping my cadence and surge for the finish. Crossing the line, I didn’t bother to check my time and dashed over to a secluded spot to finally relieve myself! When I did eventually check my finish time, curiously I had recorded 19:36 versus the official time of 19:42; I chalked this down to the start line confusion and the timer being prematurely activated. Out of the 25 or so runners that partook in the inaugural Edgbaston Reservoir run, only the top 5 (Carl, me, Vicky, Dave and Rob) went on to also tackle The Vale course. We were also joined by Kings Heath Running Club and Run Birmingham member, Ian Mackenzie, as we gallivanted across the Hagley Road towards the university for another dose of 5k. Unsurprisingly, Carl took the lead with me in pursuit once more. I was joined by Ian, which prompted me to dial down the effort and to just hang back and let him do the leading on the climbs. Whereas the pace felt perfectly serviceable for me, Ian was clearly not as relaxed as I was but continued chatting. I wondered how long he could possibly hold on for… I charged down the ascent on the other side of Mason Way and it became obvious he was nearing his limit. With a bit of coaxing, Ian regrouped with me. Embarking on the second lap, he continued to keep up with me, both physically and conversationally. Once more, I opened up my stride on the other side of the climb and Ian drifted further and further behind me. Carl was still visible on the horizon, prompting me to begin chipping away at the distance between us. The third lap was trickier without a companion. The sun also came out to add a few additional points on the exertion scale when it was needed least, but the pace came to me and I did indeed gradually reel Carl in. Whilst I was never going to be a challenge for him, I was able to reclaim some 15 seconds or so to further convince me that I could have, and should have, gone out harder for another sub-20. A warm-down with Carl and Dave, both peeling off at various points, rounded off an enjoyable, if tiring, morning. Due to being away from home on a work trip to Basingstoke later that week, I opted to beef up this recovery run to avoid my mileage quota from dropping too low. Running through Cannon Hill Park, it was a who’s who of the local running scene! I bumped into Matt Gresty, Dave Broome and Andy Young on my two laps. That work trip to Basingstoke? It included a team building exercise of an endurance go-karting match towards the end of the day. I was placed into a team of 3, coincidentally including a colleague from my own office, along with a random. The random, whilst being very good and managed to set the second fastest lap of the day, had to bail after only 20 minutes into the 2 hour race. My colleague and I were forced to split the remaining 105 minutes between us, making for a pretty gruelling time. Whilst we did end up winning with a 3 lap lead on our nearest rivals, I was t-boned by a woman failing to stop in time, after I’d stopped in my tracks to avoid a pile-up in front. I was jolted from left to right and back again with no time to anticipate it, thus bruising or even fracturing a rib or two. Needless to say, I was in a lot of pain after the adrenaline of racing had worn off! The following day, I began my run for home from the office as per usual. The first 2 miles felt perfectly fine, but then the wheels began falling off. Tightness and aches from go-karting bubbled to the surface and I knew I couldn’t complete the distance. My sights moved to perhaps reaching Selly Oak for 10k and then getting a bus for Kings Heath. Making it to 4 miles, I knew the game was up and I called it quits by catching an Uber home! I was very specific to share with the Uber driver that this was an emergency and under normal circumstances, I’d have gone all the way! Running resumed with the continued tourism of parkruns of South Wales, this time settling on Penallta parkrun, near Caerphilly – my 26th different event. Our friend, Ben, who’s decided to embark on the alphabet quest by visiting an event for all letters, joined Lis and me. He is aware there’s currently no event that starts with an “X”! As parkrun grows more popular, new events that spring up become more unconventional, at times even eschewing the need to be held in a park. Whilst the Penallta event does take place in a park, the support facilities and the car park are that of the nearby council building. It was rather odd passing the morning duty security guard to use the building’s toilets; Ben and I reasoned the local council to be a big supporter of the event as a fitness initiative, which is refreshing to see when councils are so often the antagonists of parkrun. My warm-up with Ben suggested I was capable of running without pain. Conveniently next to the start line is a map of the park, helping to facilitate the new runners briefing. Unsurprisingly for the Easter weekend, there were plenty of visiting tourists. The route takes place entirely within Penallta Park, with two switchback sections. Elevation charts online suggested there would be some significant climbing for the first mile, though our warm-up concluded it was more of a false flat than anything. Assembled on the start line, I identified a few of the likely big dogs of the morning. Do they look lean and fast? Check. Are they wearing racing flats? Check. On the starter’s orders, they inevitably tore off. I decided to hang back due to unfamiliarity with the course and its nuances. Going with me were a number of runners that were putting in an early sprint, so I guess some things are universal regardless of the event! As anticipated, the subtle climb was still able to shake the field up slightly to leave me in sixth, tailing the fourth and fifth place guys. I hovered on sub-20 pace, banking on the second half being faster with a downhill finish. Approaching the first switchback, I surprised myself by being able to enter and exit it faster than the guy in front, allowing me to quickly gain on and surge past him. My next target was a youngster who began fading from an exuberant start. Realising that I would have run out of people to follow if he drifted too far backwards, I gave him a few words of encouragement to hold steady and remain with me. Exiting the second switchback, I wrongly assumed we were to head straight and were instead sent on a sharp left for a lap of a muddy and wet path around a pond. Swift foot placement was needed to avoid sodden feet! Returning back to Bea’s Hill, I urged my comrade to stay with me, but alas, he’d reached his limit and began haemorrhaging pace. I began cruising for the finish, and would likely skim sub-20 by 10 seconds or so, when I clocked a runner behind me by no more than 30m. He was closing in so before he had any more time to make a bigger dent, I kicked things up a notch for a faster finish than originally anticipated. I was pleased to see 19:34 flash up, especially as I went through a spate of visiting new events and failing to secure a sub-20 finish by only a few seconds. Ben returned to be only a number of seconds outside of his PB set on a pancake flat course, so it boded well for his then upcoming half marathon. We’ve agreed to try our hand at Bryn Bach parkrun as our next spot of tourism. Seeing as Lis and I were due to fly out to Hong Kong only 12 hours later, I should have perhaps skipped Great Run Local, given I was still feeling pretty banged up from go-karting and the previous day’s faster than intended Penallta parkrun. Setting out slightly later than planned, I tried to better time my warm-up run to The Vale to coincide with Dave’s. As luck would have it, I could see him in the distance from Selly Oak onwards, though my attempts to call out his name literally fell on deaf ears; this continued for another mile before Dave finally took notice! Numbers were very low at The Vale, as one would expect for Easter Sunday. Once we finally got going, it became clear that I couldn’t muster anything more than what could be considered a slow tempo run. My ribs continued to ache and the steep ascents of the course did nothing to help. 21:36 was all I could manage; a time almost 2 minutes slower than my course best under optimal conditions and health. The warm-down run for home allowed me and Dave to discuss a number of sites and locales in Hong Kong that I needed to consider visiting. Shout outs to my friends, Ben and Vince, who both managed to PB last Sunday. Vince, after just 2 marathons, went under 3 hours for 2:59:32 at the Greater Manchester Marathon. Strong legs already on this one! So, aside from being busy with work and being away on holiday, something else has taken up a chunk of my time. Expected mid-October, he/she was very clearly running on the spot during the ultrasound scan to be just like their old man!